Take your weightlifting to the next level. 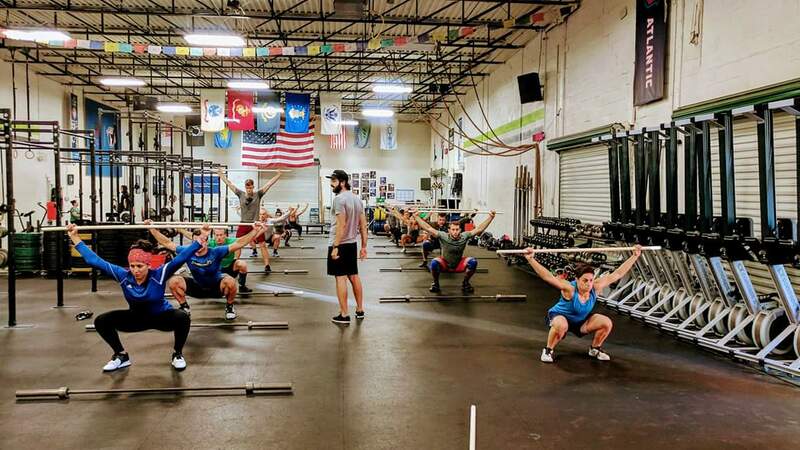 Now’s your chance to attend CrossFit South Arlington’s newest and most unique offering yet: the Oly Series with Coach Mehdi. Starting on Saturday August 4th, this 3-week exclusive course is a combination of applied drill work, lecture content and customized weightlifting homework, guaranteed to get you to the next level of olympic weightlifting. Need an even higher level of coaching? This series will also offer the option to get video review and feedback on each one of your homework sessions. Make sure to get Coach Mehdi’s eyes on all your lifts! The series is priced at $125. Video review/feedback is an addition $75. Sign up for both before July 12th and pay $180 for the combo (10% discount). Interested? Submit an application by emailing us at oly@crossfitsoutharlington.com and tell us about your weightlifting experience. Don’t wait, reach out now as only a few spots are open! – Mehdi has been coaching CrossFit since 2011 and the sport of Olympic Weightlifting since 2013. Former USAW Level 1 coach and Level 2 certified, Mehdi founded the Last Pull Weightlifting Club at CrossFit Reston in 2014 and coached many successful lifters over a 3 year period. Mehdi has studied with many prominent US coaches including Bob Takano, Greg Everett, Mark Canella and Chris Wilkes. He describes his approach to teaching the olympic lifts as a pragmatic blend of scientific coaching and American-style instruction.